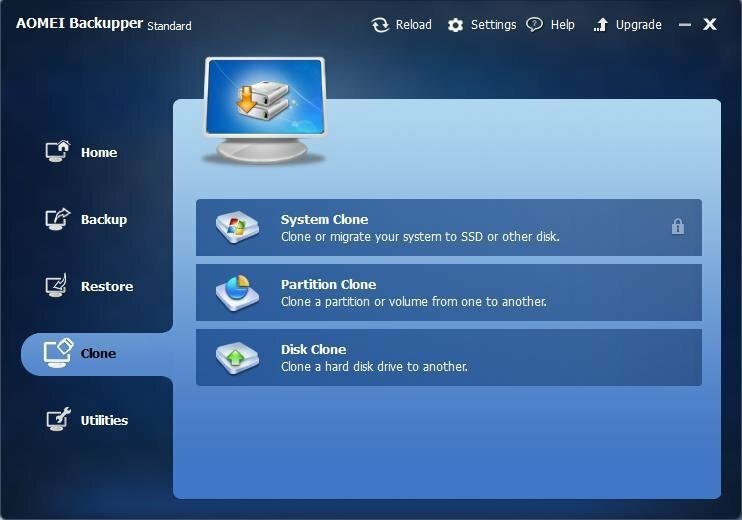 The function of clone in AOMEI Backupper consists of disk clone, partition or volume clone. It can be used to transfer data directly. Clone is a very useful feature designed to migrate or transfer your data directly. It will not compress the data, and enables you to make an exact and complete copy of a disk or partition directly from one to another.